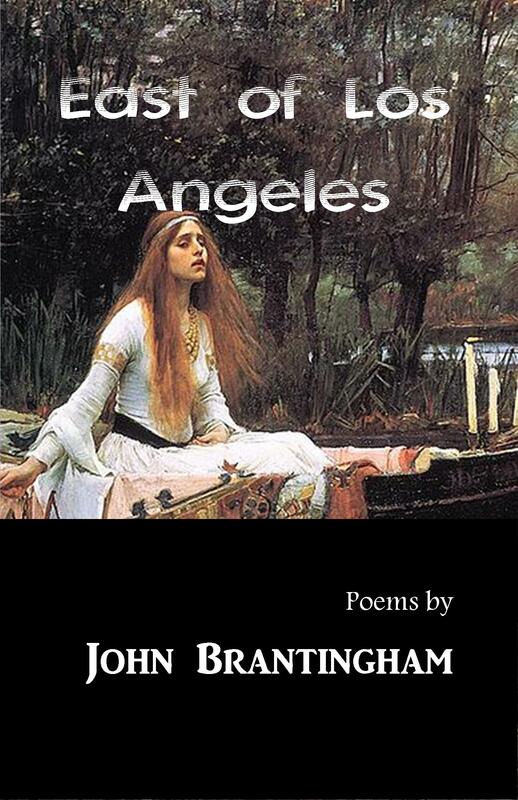 John Brantingham’s work has appeared on Garrison Keillor’s daily show Writer’s Almanac, and he has had more than 100 poems and stories published in the United States and England in magazines such as The Journal, Confrontation, Mobius, and Tears in the Fence. He was nominated for a Pushcart Prize for a poem in his chapbook Putting in a Window, which was published by Finishing Line Press, and his second chapbook, Heroes for Today, was published by Pudding House Press. He is a full-time professor at Mt. San Antonio College in Southern California and one of two fiction editors of The Chiron Review, a nationally distributed literary magazine, and he lives happily east of Los Angeles with his beautiful wife Annie and their canine companion, Archie. East of Los Angeles ($15 – Click to Purchase, ISBN: 978-1460925201, 5.06X7.81″, 72pp) follows life in that part of Los Angeles that few people dream of. Here, we find suburbs fading into the deserts and forests that ring the city. Here, Brantingham grew up with the ever present noise and light of the world’s busiest freeway. The people he writes about are making the best of the lives that they have found.